NEW LEASING INCENTIVES GOOD THROUGH APRIL 15, 2019. $600 - $700 OFF YOUR FIRST MONTHS RENT ON SELECT UNITS. 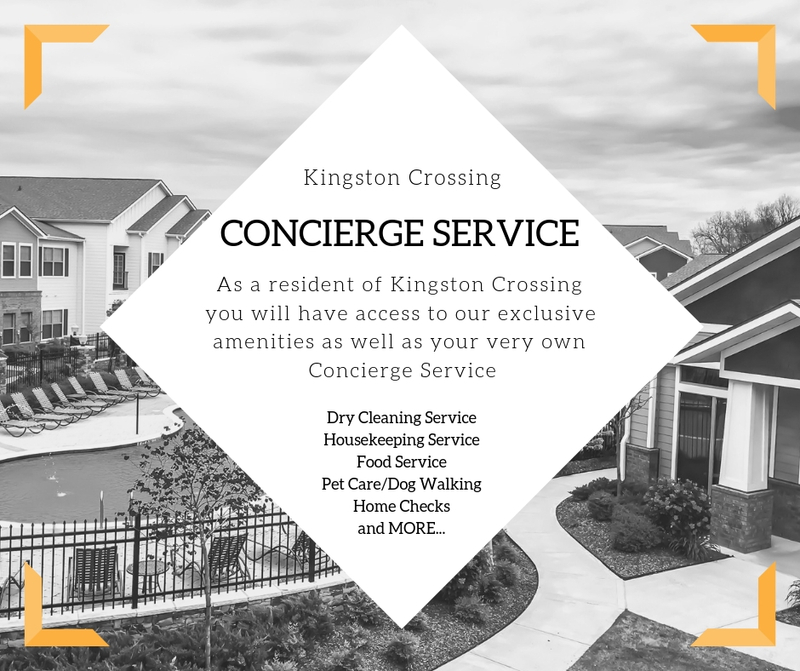 Experience the difference with Kingston Crossing Apartment Homes. Come see how elegance and luxury living meet convenience. Kingston Crossing is a one of a kind apartment community with distinct amenities. Our open floor plans have rich detail for that custom home feel. Kingston Crossing is strategically placed in a highly desired school district. Our apartment homes offer an all inclusive retreat to your daily commutes. Let us welcome you home to escape from the city and enjoy the lavish property.